Ciara Briggs made her LSU dream official last week when she signed with the powerhouse SEC team. She's been a spark plug in the So Cal Athletics lineup and instrumental to the success of Orange Lutheran High School. A five-tool player who can do everything, Briggs slaps, hits for average and power, steals and plays a mean outfield. Batting nearly .500 last season, Briggs drove in 30 runs with 12 doubles, 4 triples, and 8 home runs. As impressive as her stats are, she has the instincts and character on the field that goes unmatched. I was 5 years old when I started playing softball. I really love how competitive the game gets. I have taken visits to the University of Arizona, Oklahoma University, and Louisiana State University. I love everything about LSU, the coaching staff, the campus, and I really like the atmosphere. Everyone is so welcoming and Louisiana just felt like home. I committed to LSU my freshman year in October. Right, when I got there it felt like home. 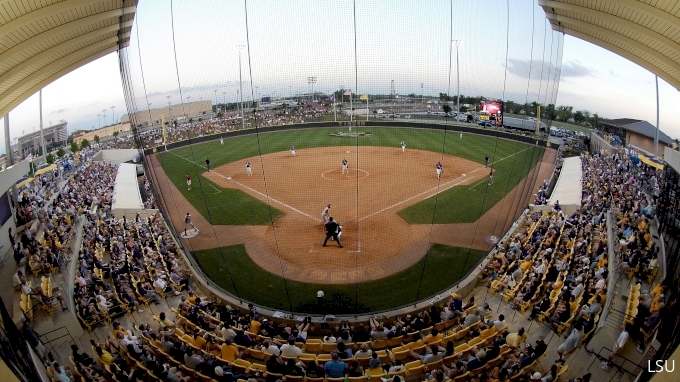 I love everything about the softball program and really liked the campus. For signing day, I was at my high school for the NLI Signing Day Event. After the event, I got the rest of the day to spend with my family. I’m really excited about starting the next chapter in my life on my own. I’m super excited to be part of an amazing program and family. What I’m taking to college from home is that it’s okay to fail and make mistakes. Those are the things that help you learn and succeed in the future.